How do you teach spelling? I believe teaching spelling (I like to call it word study) is very important yet in my school it is not scheduled for. We have a very structured schedule we are expected to follow and I have to squeeze in word study since it doesn't fit anywhere. Unfortunately it isn't a priority anymore BUT I want it to make it more of a focus next year. This year I wasn't quite sure how I wanted to do my word study instruction so I've done some experimenting and have found my mojo.. I mean method. I will admit I've used the spelling lists from the Trophy's series all year. Each student has the same list and my low students are only are responsible for the first 5 words. They have homework each night about their spelling words (they also have math and reading homework too, see my post here on my homework folders). Their homework is to write their words 3 times, write their words in sentences, and put their words in abc order. I've tried to make it more exciting but that is a whole other post. My students also have a workstation each week based on their spelling pattern too. However, this is not working. It hasn't proved effective; the students aren't thinking critically about the words or understanding the patterns of the words, and they still aren't that great of spellers. Also it is not differentiated since not all students are ready for Trophy's spelling lists. Just another text book I thought, little did I know I'm using it regularly in my own classroom! Yes, a text book that was a good investment! This book is fabulous!! This is an entire different way of doing spelling. 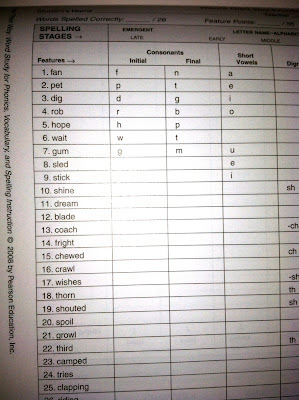 At the beginning of the year you would preform a spelling inventory on all of your students, basically a spelling test. They give you the words and a specific form (see below) you fill one out on each student and it tells you exactly what spelling level the student is at. You stop the test after the student misspells 5 words since when you look at the list you will think some of those words on the list are pretty difficult. This is for primary elementary and the entire page isn't photographed but they have 3 different spelling inventory's based upon your grade level and student's needs. Good for all ages! I actually did this test at the beginning of the year to get an idea what kind of spellers my students were. I'm looking forward to comparing the results when we take it at the end of the year. 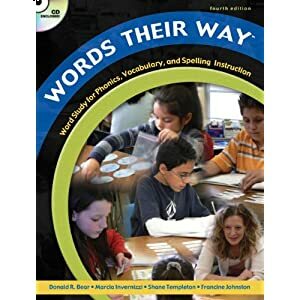 After learning their spelling level and learning more about what that actually means by reading up on it in the text you select appropriate activites for students that the book includes. 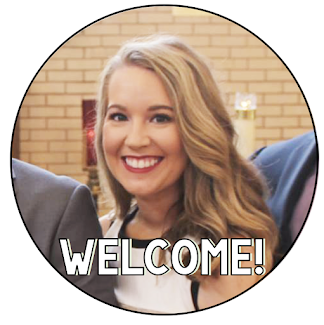 Yes, it has tons of templates and ideas of actives to do with your students. I love the pictures because the students sort them then have to write them on their own. 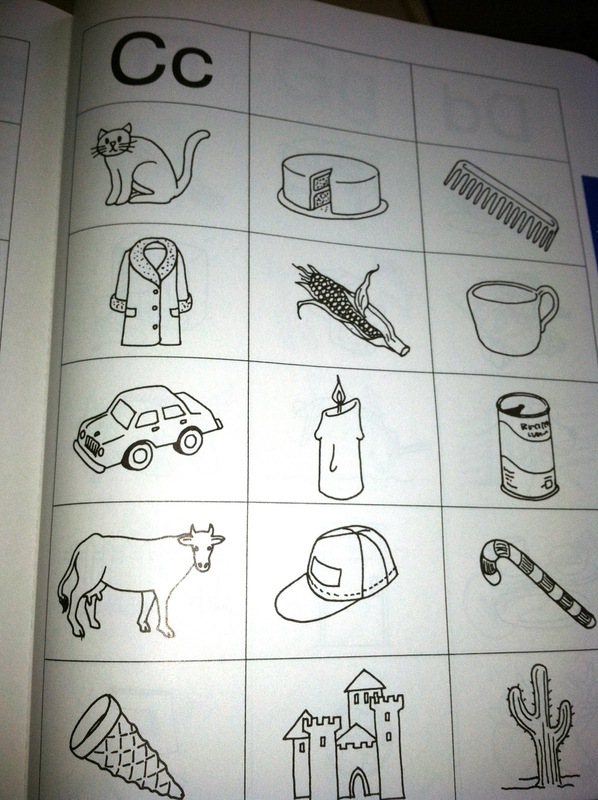 For example, they sort the short a pictures with the short e pictures or letters B and D pictures. Whatever your kids need help with. I start off with a large contrast of sounds (like B and M) then I made it more difficult with less contrasting sounds (C and K). Then students have to practice spelling the words. The fact that the students are practicing the skill by first sorting by sounding out each word and really listening at the sounds then attempting to spell is incredibly effective. They have picture sorts for every letter of the alphabet, short vowels, long vowels, and some blends. I use the short vowel's for my students who are still struggling with these sounds and used the long vowels for the rest of my students. We are now learning more varied long vowel patterns which this book doesn't have sorts for but they have books that would have these sorts; must buy them! I have however used their methods for a few months in my class but due to time it did not last. Also this program is a lot of work to set up! Their word study is all about word sorts. Students get a list of words at the beginning of the week in which they sort however they'd like, open sort, and you can give them a closed sort, giving them the titles of how you want the words sorted. Unfortunately in the book above it doesn't have pre-made word sorts in there so I was creating my word sorts each week that is why it was so much work! All of their books are for every spelling level (even high school!) found here. Monday's students would receive their spelling words and sort them. Each day after students would do a different activity with their word sorts such as a fast sort against the timer in which they record their scores. These items could also be done for homework rather than in class. More ideas are in the Words their Way book. At the end of the week students would still have a spelling test but this would have to be given in small group since students would have different lists. 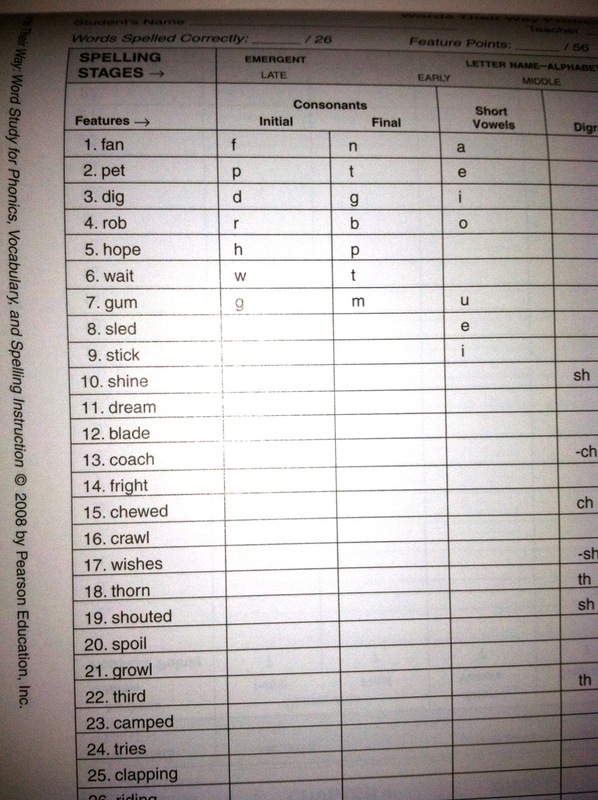 Students can then glue their words in a spelling folder with all their word lists inside. If you are willing to give up precious guided reading time I used to go over the student's word lists on Monday's in guided reading. Then each day after we would do a quick activity, 3 minutes max, with the words each day but I plan on making this whole group next year since it will be a routine and students will all have different list we will just be doing the same activity with them. I hate giving up guided reading time! Friday would be their spelling test in our guided reading group-- if I can figure out how to give spelling tests with different words in whole group I'd love to do that. Any suggestions? So enough of me talking, I want to hear from YOU! 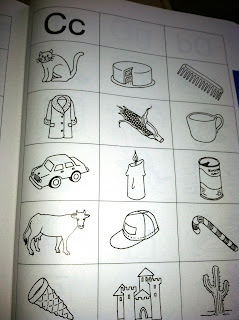 What to do you do for spelling instruction? Have you used word sorts before? Very little actions is without a doubt oftentimes too-demanding in the Navigate running watches. That’s how come chanel replica bags is without a doubt liked uniform team members besides other risk pro's at which the application type has becoming a level logo. Notably, that Navigate an automatic diver sit back and watch; that fellas have the start looking and even high-quality really remarkable! Orient’s esthetics typically are not really body great; right here that face additionally, the court case betters carry on your workout case study in sewing which will dr a lot of these astonishing running watches. They have also been assembled super-tough; despite the fact that possible splits one way or another, the nation's core keep at hitting. Deliver the application an alternative family home and even truth be told there you may be! As a result Navigate running watches can be so much designer simply because louis vuitton replica, divesified mutually for one top-notch way for you to enlighten the time period. Even while some people start looking somewhat popular and even snazzy, they have also been very healthy and even foolproof as you get them all inside various dusty project. Some people reveal well known tasteful stylings and even remarkable flexibility within a pretty rate while not eradicating the nation's funkiness. In that possition, that Red navigate mako works each of those side panels in designer; as a result of simple dresses to help you hublot replica. A lot of these running watches can be to get dive-purposes though pleasantly which will end up distressed in all places. To choose that pro-scuba all scuba divers, you should also make use of generally in the hublot replica sale even while having fun with an important round of golf in the sport of golf; possibly even tennis, football and even rolex replica sale. And even any specific beach destination outdoor activity, to suggest. They are really made to survive sodium, the sun and even desert sand. To understand the things individuals must be educated that is the reason online education is now giving a chance to attain a specialized degree via online education in Dubai and increase their understanding.